A Gunite Machine is used for the wet and dry shotcrete process, as per the need of the industry. Using it will half the burden, manufacturing cost and boost up the productivity. Want to buy? 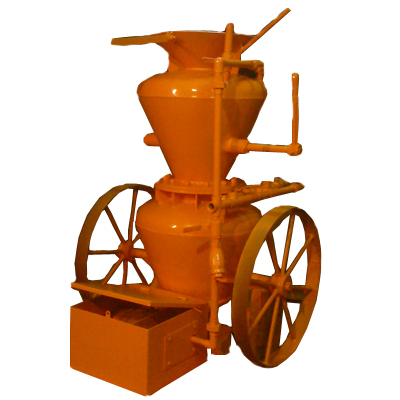 Looking for one of the reliable Gunite Machine Manufacturers in Mumbai? You can contact Meta Therm Furnace Pvt. Ltd, without having any second thoughts. Since the establishment, we have this machine available in endless configurations to meet your diverse requirements. Working with Dry Mix Gunite Machine is easy and quick, and can be done by half manpower than required in the traditional method. The robust construction of our Guniting Machine also makes it suitable to withstand challenging conditions. It has features like automatic and manual operation and so much more to ease the process and work of the operator. Also, it is very easy to port from one site to another and can be easily available in different customizations needed by the clients. If you want to place your order with us, contact now. As one of the preeminent Gunite Machinery Exporters and Suppliers in India, we will make sure that our products are configured as per your need and reach to your doorway shortly. So, call now or drop us your email.